It is 5:08am in Tomsk, Russia; 2:08am in Moscow, Midnight in Amsterdam, 6pm back in New Jersey, and 3pm in LA. I didn’t have to come to Siberia to give you a run down of time zones, but after taking off and landing a couple of times today, I feel like I’m really living in all of these. As I look down to see scattered lights of unknown Siberian towns, I’m like an astronaut looking down at earth, watching land masses go by and fairly often; in awe of it’s vastness. Beautiful girl next to me has a book. It’s probably nothing special as far as books go, but looking over at it’s pages spilling over with Cyrillic text, in my eyes it is some ancient text drafted by a highly advanced society. The girl herself- a beautiful scholar with the wisdom to understand it all and dare I think it- to explain it all to me during the next four hours aboard Siberian Airlines flight bla bla with nonstop service to Tomsk. “angleski?” I ask in my makeshift Russian dilect I create on the spot. “very bad” she responds. We smile at each other…. 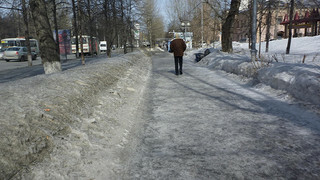 in Siberia and like being on another planet and that its conclusion ? Mark, you poet. Thank you for prelection. It was very intresting.